WooHoo! 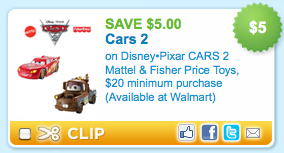 There’s a new high value candy coupon available on Coupons.com! 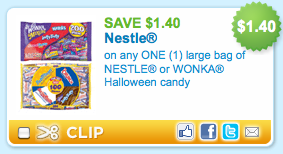 Just hop on over there and use zip code 77477 (if needed) to print a $1.40/1 large bag of Nestle or Wonka Halloween candy! Pair this with all the Halloween sales going on and you are bound to score some sweet savings!